With Adrian Gonzalez currently in Mexico to play for the country’s national team in the qualifier for the 2017 World Baseball Classic, the Los Angeles Dodgers have relied on Scott Van Slyke, among others, to fill in at first base. 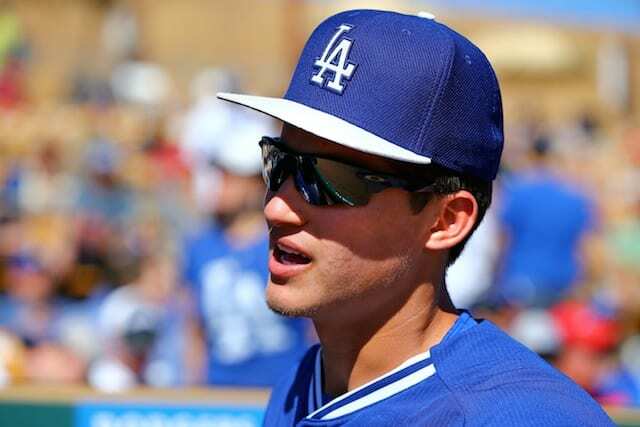 Currently in the midst of a three-game losing streak, their longest this spring, Los Angeles plays a set of split-squad afternoon games on Sunday, hosting the San Diego Padres at Camelback Ranch, and facing the Milwaukee Brewers at Maryvale Baseball Park. 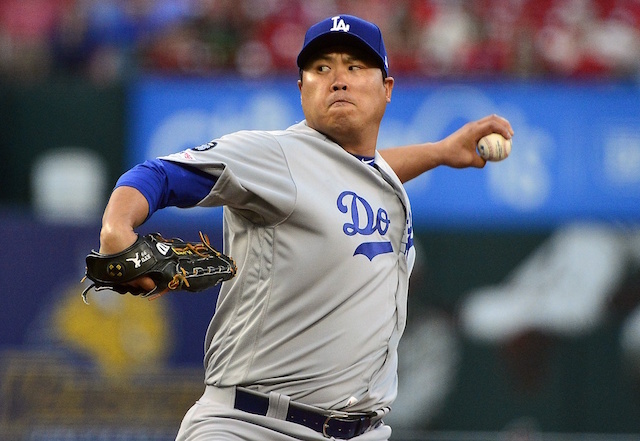 The Dodgers swept their split-squad games on March 12, defeating the Chicago Cubs and San and Seattle Mariners. On March 26, the Dodgers will face the Mariners at 1:05 p.m. PT and Chicago White Sox at 7:05 p.m. PT in their final split-squad action of Spring Training. 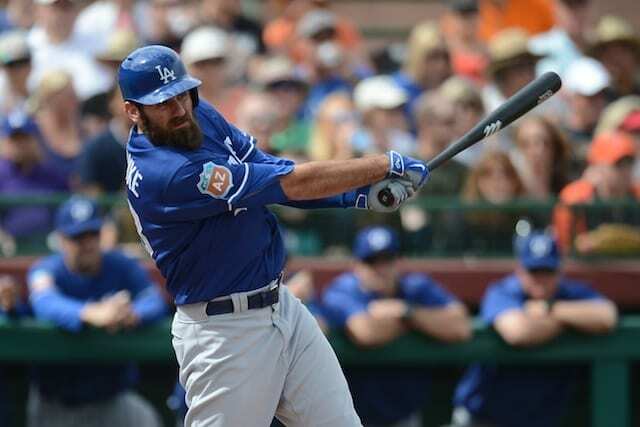 In 12 Cactus League starts, Van Slyke is batting .375/.459/.750 (12-for-32) with three home runs, one triple, one double, six RBIs and five walks. 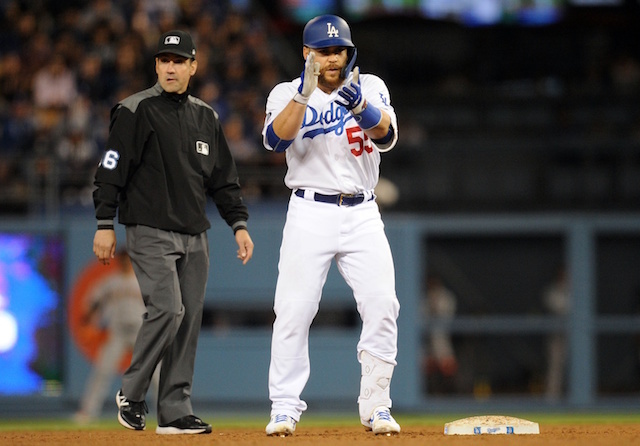 He joins Andre Ethier and Corey Seager as those who are dealing with some form of a relatively minor injury. Ethier’s contusion on his lower right leg, a result of fouling a pitch off his shin, is expected to keep the veteran out of action for at least a few days. Seager was diagnosed with a sprained left knee on March 12, and at the time was projected to miss one to two weeks. Dodgers manager Dave Roberts said on Saturday the prized shortstop began some throwing activities and the club remains optimistic Seager will recover in time for Opening Day.